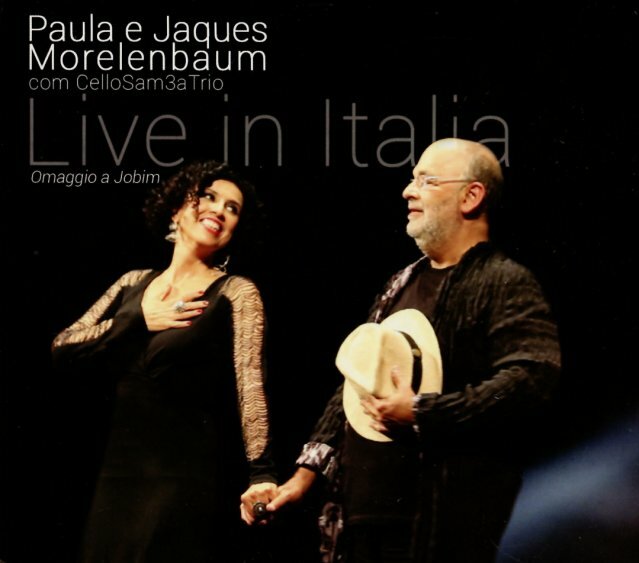 A fantastic tribute to the music of Antonio Carlos Jobim – and, as you'd expect from the duo of Paula and Jacques Morelenbaum, a set that's got a very unique flavor overall! The Morelenbaums have always been committed to the little sounds, the simple moments that have made Brazilian music wonderful from the bossa years onward – an approach that found important early flowering in the music of Jobim – and which is recast here in a very special way by the pair. These aren't simple bossa cover versions, nor slavish reworkings of the tunes – and instead, they get very unusual delivery from a trio that features Jacques on cello, plus guitar and drums – instrumentation that really underscores some of the bluer elements in the tunes, with Jacques' "voice" as important as Paula's interpretation of the lyrics. Titles include "Gabriela", "Vivo Sonhando", "Retrato Em Branco E Preto", "Aguas De Marco", "Modinha", "Maracatuesday", and "Eu E O Meu Amor/Lamento No Morro". © 1996-2019, Dusty Groove, Inc.